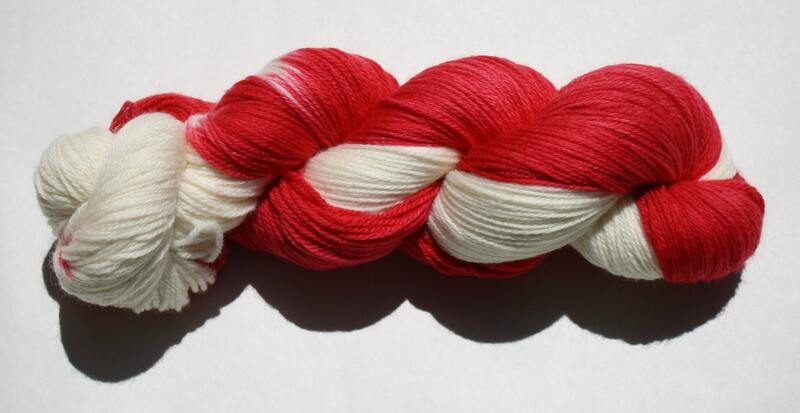 This hand dyed yarn is the colors of the Detroit Red Wings. It a tonal red and white. It can be used for socks, shawls, toys, or whatever you can think up, perfect for the Red Wings fan in you life.